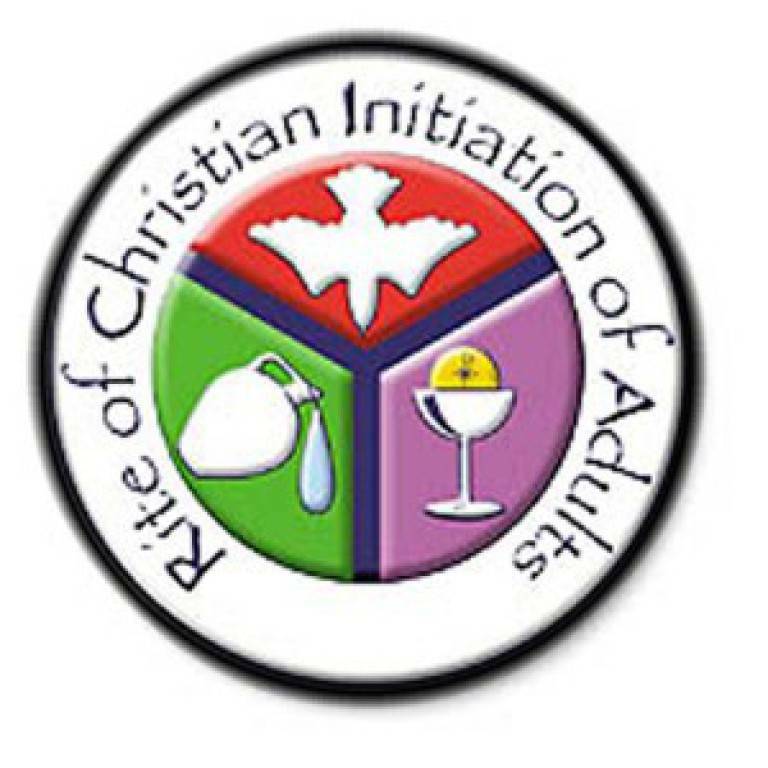 At Saint Joseph Parish, The Rite of Christian Initiation for Adults (RCIA) is a group of Catholics and Non-Catholics who wish to learn about the Catholic faith. They are initiated into the Catholic Church at the Easter Vigil. The group meets on Mondays starting September 10, 2018, until Easter. For adults today, the Church, after the Second Vatican Council, has restored the order of the Catechumenate in the Rite of Christian Initiation of Adults. 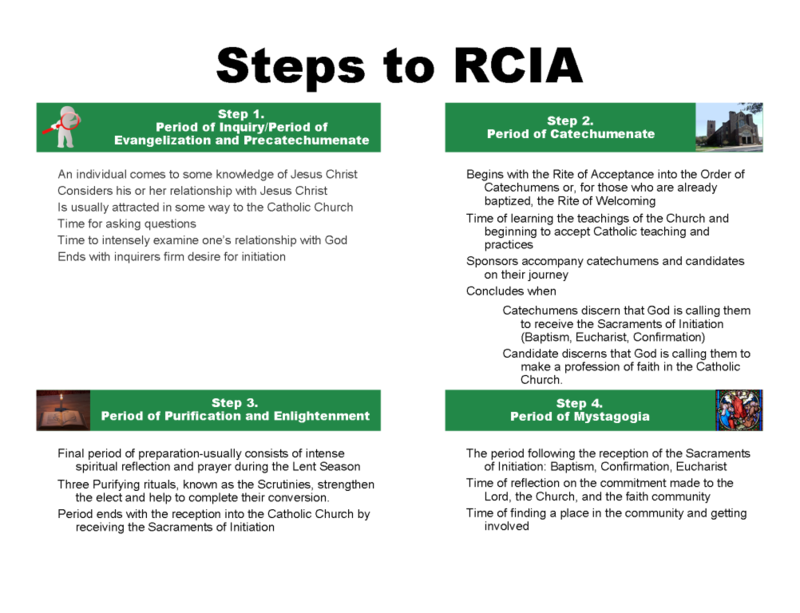 It outlines the steps for the formation of catechumens, bringing their conversion to the faith to a greater maturity. It helps them respond more deeply to God's gracious initiative in their lives and prepares them for union with the Church community. This process is meant to form them into the fullness of the Christian life and to become disciples of Jesus, their teacher. This includes an initiation into the mystery of salvation, the practice of faith, hope, and love, and other virtues in a succession of liturgical rites.